Water For People’s new data reporting and visualization tool provides a platform for the non-profit to deliver meaning to constituents. Donors, field workers and Water For People local partners can view and share data in a compelling manner that increases engagement with and understanding of Water For People’s activities. The stunning visual design creates a pleasing platform to look at and provides an exceptional user experience for constituents looking for data. The platform grabs attention with its easily consumable metrics that provides context to the value rather than just providing numbers. 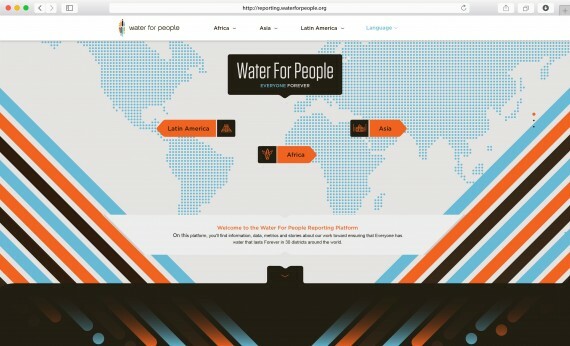 This project is ideal for IxDA’s Engaging category because it embodies all necessary qualities: it captures the attention of donors and partners to understand and internalize key metrics, it creates delight in it’s visual design and ease of use, and it delivers meaning by clearly articulating Water For People’s efforts.